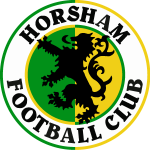 Horsham Football Club received FA Chartered status in 2006 and, as a club, we are improving our Football in the Community project as we continue to grow. The Charter Standard Scheme advocates best practice, a guide that sets standards of coaching, administration and child protection for all clubs outside the Football League and Premier League. The club’s officers, including CEO John Lines, are DBS checked and Annie Raby has been appointed as the club’s Child Welfare Officer. All coaching and managers at all age groups are DBS checked and hold coaching badges from level one upwards. Each squad includes at least one holder of a minimum Level One certificate in Emergency Aid and Safeguarding.